Great looking site y'all have here! I'm Kim and thought I'd stop in and check it out and I'm liking what I see. I have been a simmer since the release of Sims 3. Well, I told a lie, I started out with Sims Life Stories, but only played the game and was not involved in the community. Sims 3 has been an exciting experience. I learned to use my creativity to build, make sims, and simtography as well. The best part has been meeting simmers from all over the world who have turned out to be some of the best people I have ever met. Simming is not all I do. I play Guild Wars 2 and adore it. I have two cats and a dog that I love more than life itself. They are the closest thing to children for me as I am without spawn. It's nice to be here and happy I signed up. Looking forward to new faces and saying hi to the peeps I already know. Hi, and welcome to the site. I look forward to seeing some of you creations. Welcome to the site Kim. I'm glad to see you here. I'm looking forward to seeing some of your recent creations too. You have a very awesome studio there. Left you a few recs. Kim ... so very happy to see you here. I can't believe you're here. Actually I shouldn't be surprise because I was thinking of contacting you since the middle of last week, and bam, here you are. Really, I'm not kidding. Praise God, He's been doing some amazing things in my life lately and answers my prayers and thoughts many times. So I wanted to ask you what happened to The Simmer's Society? I tried last week to get back on that site but the link takes me to some business looking site. Funny, you're playing GW2 too. I started playing 6 months ago and along with The Sims 3, are the only two things I play now. But haven't touched it last week since I started building a home. Btw, I'm on Blackgate. 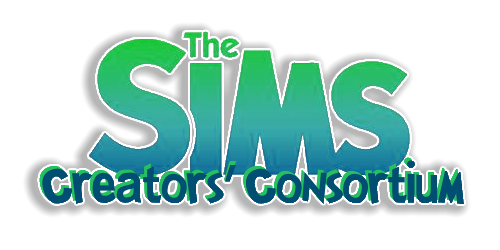 Just so everyone knows, The Simmers Society has moved to a forumotion site like ours. The forum looks great, very clean and streamlined, love it. Welcome Kim, glad to have you here. Hi LadyGee and thank you! Auntielynds, thanks for the compliments on TSS as well as the welcome! We worked hard on the site to get it looking crisp...so glad you approve! Hey there Sierra! I was thinking about you recently as well! How the heck are ya? The old site went kaput. Too many host issues and such. I am, so far, liking forumotion really well. As for GW, I've neglected it myself, lol. 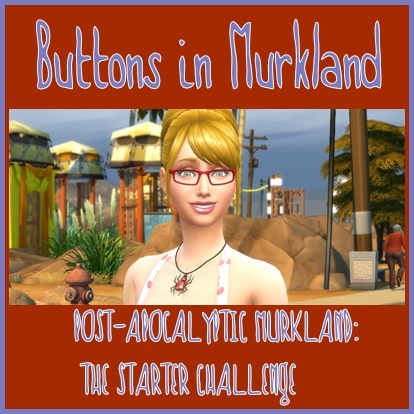 I took a Sims hiatus for a few months and played GW exclusively, but with the new site and running it, felt I needed to be more Sim active. We should play together sometime. We can guest on servers. Our guild, TSS(The Sim Slayers), lol, is full of simmers. We are on Ehmry Bay. EQ! I'm so happy to be here! MerryWiddow, hope you didn't hurt your reccing finger, lol. There is a lot in there. Thanks so much for the recs and the welcome! Hello Httddy! :D Thanks for the welcome! As for my creations, I will share after I get a bit comfy. Oh yeah Kim, we'll definately have to get together someday on GW2. Funny you're on that server cause we call it Ebay, lol. Love your guild's name. Hope Yanti's there too. TSS looks great and I am having a lot of fun there. KIM! Sorry for the belated welcome here too! Hehe, I am just overjoyed with the warmth. No need for belated this or that. Sierra, we call it ebay too and no, Yanti is not there. I don't think she does any other games but sims. Just love all the smiles here! Well, you know me, Kim... Habitually late to everything!